I have recently started to revisit some albums that i always get a great deal of joy out of listening to for whatever reason i am inspired to listen to them for. This is important as i sometimes listen to music in order to review it or play on my radio show. Sometimes i forget to play music simply for my own enjoyment. Over the next couple of weeks i intend enjoy some albums which for many reasons i find entertaining, enthralling, uplifting, rhythmic, thought provoking or all of these. 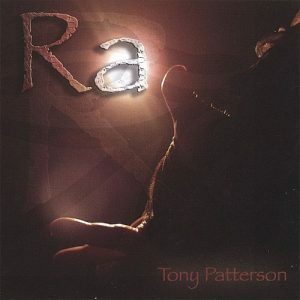 The first album i decided to play was Ra by Tyneside musician Tony Patterson. Previous to hearing Ra i had never heard of Tony Patterson nor did i realise that i had actually seen him perform as singer with Re-Genesis performing The Lamb Lies Down On Broadway a few years earlier. I make no secret of my penchant for film score and soundtrack music, in fact i believe a lot of music lovers miss out as they don’t fully explore the genre. Being an indepenent artist Tony does not enjoy the media coverage of those signed to labels or at least he didn’t when he recorded Ra. Therefore so many people are missing out on what i have grown to love over the years as a formidable album. Ra has what s many albums aspire to attain though often let down by poor production or recording quality, namely depth and scale. Along with all out shear seat of the pants excitement by way of some powerful percussive expoits Tony Patterson has managed to infuse such drama with a fair amount of subtlety utilising his not inconsiderable skills playing everything from Flute and Ney Flute, Synthesiser, Classical guitar to ethnic instruments such as Duduk, Zourna, Santoor, Zheng Harp and much more besides. Ra is an album that can be listened to via your phone whilst commuting or via your tablet/pc etc, though to fully appreciate it’s majesty i recommend a good quaity Hi-Fi/AV system. Played via this media Ra is quite simply awesome! Giving a wonderful hint at what is to come is the all too brief Prelude. Setting out his stall in the first few bars Tony lays bare the arabesque style and musical flavours of the middle east. Being one of the countries to yet elude me from visiting all of the images i have of such a wonderful culture encompasing such a rich history are brought to mind when listening to pieces such as Earth, Earth and Sky. Here Tony’s use of Powerful samples and superb timing make for a compelling listen. Pieces such as Positive Virtues, Negative Virtues and Nine Divinities highlight the wonderful orchestration present throughout the whole experience and i find myself basking in it’s scale every time i listen to them. The faint of heart should take warning however, there are some frieghtening subsonics here that should carry a health warning. Percussion and percussion samples are absolutely breath taking. Heart Of Ra to me re-enforces the mighty Egyptian feel to Ra and firmly puts the Pyramids of Gisa and the Nile firmly in my vision whilst Liquid Sun serves as a great bridge to the closing piece Ascension which with a title like that is of biblical proportions and has hints of Tony’s Peter Gabriel persona encased within. I alays feel that when i listen to this song just about all the resources available to him are used and utilised to the full. A very special album then? Well yes indeed it is to me. As i often say, “music chronicals your life” and at the time i was introduced to Ra by Riversea keys man Brandan Eyre i was in a state of flux encountering numerous difficulties in my life. Such troubles are easier to deal with when new and diversery elements come into your life. Ra became a regular play at organised events for the Audio industry and enthusiasts and to this day i feel is one of the best kept musical secrets. Want to hear just what i have been harping on about? get on line and treat yourself to a copy.